On Friday Transport, Housing and Urban Development Minister (THUD) Phil Twyford gave a speech at the South Auckland Salvation Army base on Labour’s outline with housing. Effectively recognising the right to everyone having a warm dry roof over their head no matter one’s circumstances or circumstances in life. Kia ora tatou. Good morning. Thank you to the Salvation Army for giving me the opportunity to be with you here today. I want to acknowledge the housing NGOs, the activists, campaigners and community organisers, including the Living Wage Movement, for the work you do in our communities fighting for social justice. This is my first opportunity to set out the direction of our housing policy, since being sworn in as Minister in our new Labour-NZ First Coalition Government supported by the Greens. I am going to talk about the future of state housing, and the fight against homelessness. My starting point is the importance of a home. When people are homeless it strips them of their dignity and hope. When families move from place to place because they cannot find somewhere to settle, it takes a terrible toll on them, especially the kids. When people find no alternative to living in cold damp rentals the inevitable sickness shortens their lives. When housing costs are so high, there isn’t enough to spend on healthy food or pay the power bill. When home ownership is out of reach people are denied the opportunity build an asset and build themselves up. The housing crisis is quite unacceptable for any New Zealander. It offends the sense of fairness and opportunity for all our country was built on. We have a broad housing reform agenda and we are already taking the first crucial steps towards fixing the crisis. Central to that agenda is a reassertion of the role of state housing. We are going to put the state back into state housing. Our Government rejects the view that state housing is a redundant idea from the 1930s and that modernisation means selling off the houses and getting charities and the private sector to do this work instead. Given the state of the housing market right now, it should be clear to anyone that state housing – decent, secure, income-related rental housing for the people that need it most – is needed more than ever. Our Government will not milk Housing NZ for profits. We will reinvest any surpluses back into the building of new homes and upgrading existing ones. We will stop the mass sell-off of state housing, and as part of our 1st 100 Days, the Prime Minister will have more to say on this shortly. Housing NZ are up for this challenge, and we are working together on how to make it happen. I have started a conversation with Housing NZ on how we can build back the tenancy management, giving better face to face engagement with tenants based on an ongoing relationship. There is much to do. One small thing is the policy on tenants owning pets. Given how important pets can be to people’s quality of life I favour a more accommodating approach that allows tenants to own pets – as long as they are properly looked after, not a nuisance or a danger to neighbours, and not damaging property. We are also committed to working closely with the Community Housing Providers so they too can do more and do better. I have never accepted there is a contradiction between a strong government provider and a vibrant and growing community sector. I want to re-iterate my commitment to sit down with Community Housing Aotearoa and negotiate a multi-year plan for how we can work together to grow the sector in a way that is both ambitious and sustainable. My vision is not for some quasi-market where community housing organisations are competing for subsidies, but instead a community of housing providers and advocates working in partnership with government, and where we can all benefit from the innovation and diversity the community sector brings. We are going to build a lot of houses. And we are going to build whole communities. I want those communities to benefit from the range of housing types, tenures, price brackets and services that the community housing providers can deliver – and that the Government and private sector often struggle with. The other big issue I want to address is homelessness. While there is something deeply unsettling about our country’s current inability to house its own people, I do take courage from what I believe is a widespread view that the current situation is intolerable and has to be fixed. I am also confident the policy responses are all there on the table. The Cross Party Inquiry on Homelessness run last year by Labour, the Greens and the Maori Party flushed them all out. The early signs from the agencies working on Housing First are very encouraging, and build on significant evidence from overseas that this is a very good response to chronic homelessness, and is ready to be extended. We are to looking to complete the roll out of emergency and transitional housing places around the country. I don’t want to see people living in cars and in campgrounds. And it not satisfactory for the taxpayer to be shelling out $90,000 a day on motels. But I am mindful of advocates who told our cross party inquiry that we shouldn’t just build up the infrastructure of emergency housing. They told us the best and most enduring solution is simply to build more houses. Working through those trade-offs, and getting the right mix of targeted services and building more state and community homes is the task at hand. Finally on homelessness, we remain committed to developing a NZ Strategy to End Homelessness and we will work with the sector on that. I have talked about public housing, and our response to homelessness. But we have a much bigger broader reform agenda that is needed to fix the housing market at a systemic level. Through Kiwibuild we are going to build 100,000 affordable homes for first home buyers, half of them in Auckland. We are going to set up the Housing Commission, a national urban development authority that will lead large-scale projects to build whole communities, with the jobs, and transport infrastructure and open spaces and amenities that communities need. Along with the housing types that people need at costs they can afford. These communities will have a mix of state and community housing, affordable Kiwibuild homes for first home buyers, and open market homes. One of the big differences between our Government and the last is that we are going to build affordable homes, and public housing, wherever we possibly can. Because if we don’t, who will? We are closing the door on speculators. We are introducing legislation in our first 100 Days so that only citizens and permanent residents can buy existing homes. We are pushing the bright line test out to five years so if a speculator sells a rental property within five years they will pay income tax on the capital gain. We will also shut down the negative gearing tax breaks that give speculators an unfair advantage over first home buyers. And our Tax Working Group is being asked to design tax reforms that will tilt the playing field away from real estate speculation and towards the productive economy that creates jobs and exports. Yesterday we passed the Healthy Homes Guarantee Bill that will set minimum standards to make sure rental properties and warm and dry. Backed up by a beefed up compliance capacity within the Ministry that will see risk-based auditing and investigations. Next year we are going to review the Residential Tenancies Act to deliver more security of tenure for renters. Because well over a third of us renting these days we cannot continue with the current outdated law. All this is supported by what I call our Urban Growth Agenda. It is a set of reforms designed to allow our cities to make room for growth, and bring down the high cost of urban land that is at the heart of these problems. I know this is an ambitious agenda. But the scale of the crisis demands ambition. I draw my inspiration from the First Labour Government who came to office after Depression and war determined to use the power of the state for good. To intervene where necessary to make the system work for working people. They redefined the role of Government. They made things happen by sheer force of will, and they built a lot of bloody houses. The Sixth Labour Government’s housing reform agenda is also about nation building. It recognises we have a crisis, and is bold and broad in response. It has the courage to tackle deeply entrenched problems that have been allowed to fester for too long. It redefines the role of the state, and gets it back into the business of mass home building. It will tame the out of control speculation that has been so destructive, and modernise rental laws. 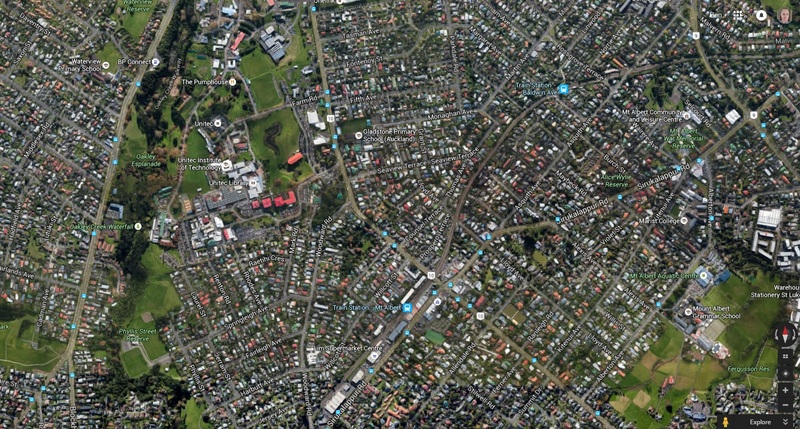 In building 100,000 houses, re-inventing state housing, and building dozens of thriving modern communities around New Zealand, it will change the face of our towns and cities. It will create the conditions for our people to thrive. Once implemented it will amount to the biggest overhaul of housing policy since the time of the First Labour Government. Our belief is that it is the role of Government to do the things that we can do together as a country, to ensure people have the basics: affordable secure warm and dry housing, decent work, good health and education systems. With those things looked after people can then can get ahead in life through their own hard work and talents. Without that platform, there is no fairness and no equality of opportunity. Modern governments spend so much time dealing with social problems that are in large part caused or made worse by the poverty and lack of hope and distress associated with insecure housing and insecure work. If we can restore universal access to secure, warm and dry and affordable housing for all New Zealanders, we will make this country even better than it is. Housing is one of the fundamental universal rights and everyone should have a warm dry roof over their head no matter circumstance. The attitude of the previous administration was the opposite to this. Rather than be the State provider to ensure and guarantee all had access to warm and dry housing they rather as it wer fob it off to others and those others without the proper resource to do it. So an uber-national urban development authority will be set up based in Wellington with satellites established in sub regions where large scale projects are going. Yes I have asked the Minister to set one up in Manukau to handle the Southern Auckland projects. Waiting on a reply. None-the-less a large housing program will be under way.